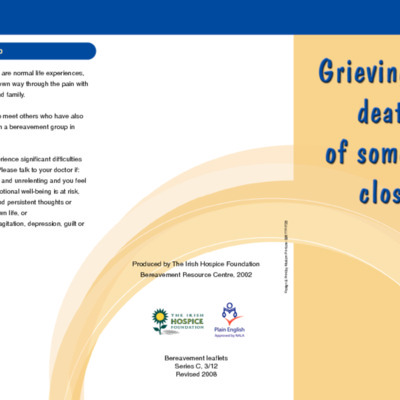 The Bereavement Education Centre of the Irish Hospice Foundation began developing a range of public information leaflets and resources on bereavement in 2002. 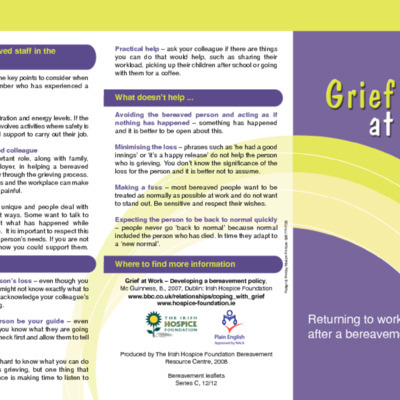 An initial series of leaflets addressing different aspects of bereavement were produced in 2002 sponsored by Bupa Healthcare. 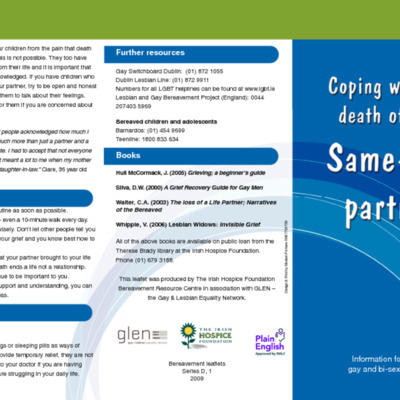 The leaflet series expanded to 15 in total including leaflets on suicide, grieving the deaths of partners and parents as well as three leaflets on children and coping with the death of a pet. 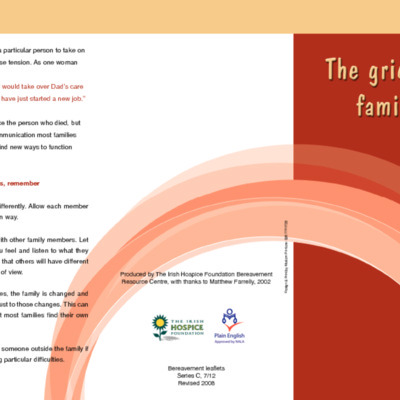 The leaflets were approved by the National Adult Literacy Agency (NALA). 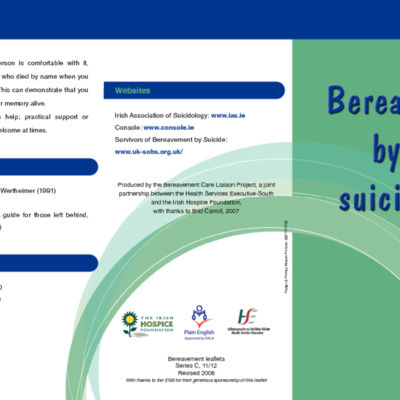 A partnership with the Regional Suicide Resource Office was established and leaflets delivered through there and through the HSE. 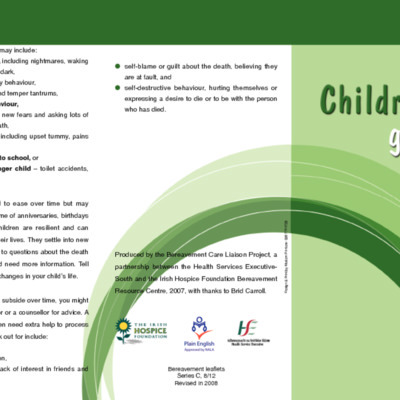 The leaflets were redesigned in 2009 and in 2012. 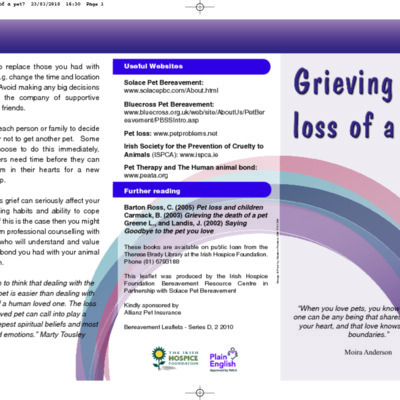 As of 2015 over 40,000 leaflets are distributed free of charge every year to hospitals, hospices, health centres, schools, social workers and to members of the public as part of the bereavement education centres public bereavement support function. 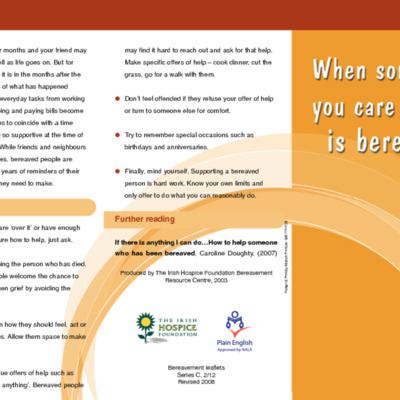 Jim Rhatigan. 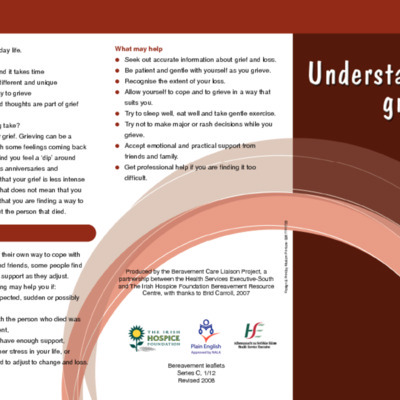 Brid Carroll. 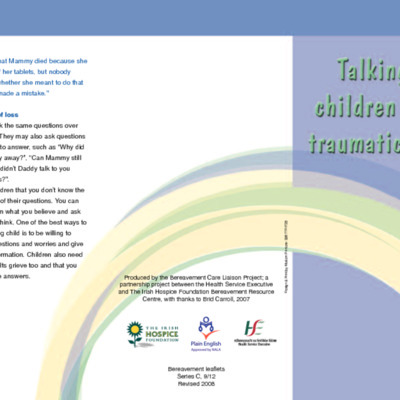 Breffni McGuinness. 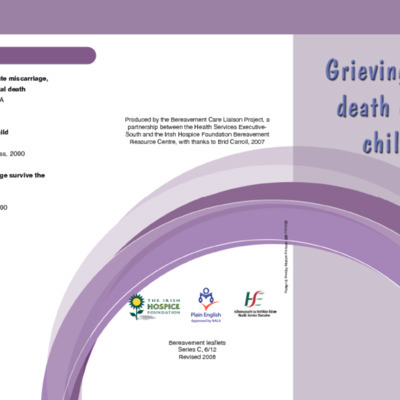 Helen Greally. 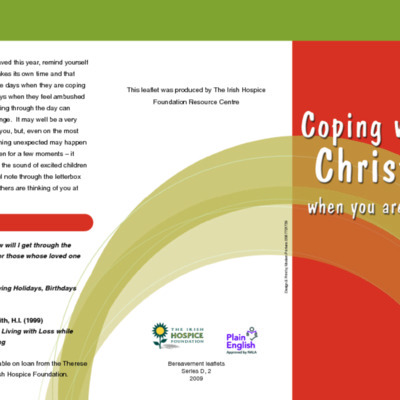 The Irish Hospice Foundation. 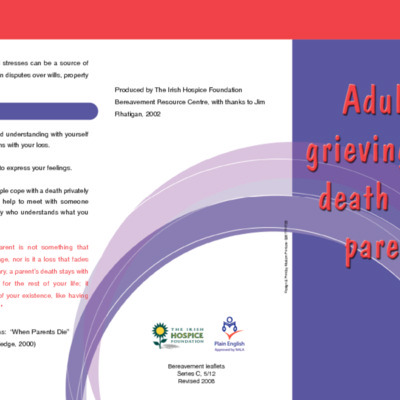 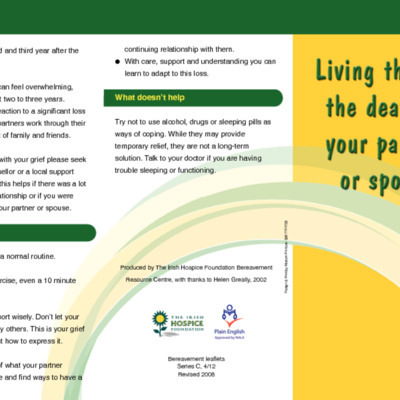 , “Bereavement Leaflets 2009.,” Archives Hospice Foundation, accessed April 23, 2019, http://archives.hospicefoundation.ie/document/245.